This rather small volume by Rev Dr Valsan Thampu is a study on sainthood through the life of St Gregoriose of Parumala, a Saint in the Orthodox tradition. However, the author is a clergy from Protestant lineage and therefore, there is an element of surprise as well as curiosity to readers, be them Orthodox or Protestants or even Catholics for the simple reason that Protestants in India do not seem to venerate Saints. I am stating these notwithstanding Saints are seen respectfully among believers of non-Catholic and non Orthodox Churches at certain other locations though not as much as venerating them. Now coming to the point of Dr Thampu’s work under discussion, he has divided this small volume into three parts with a view, perhaps, to look at St Gregoriose of Parumala in a three dimensional scenario. They are (1) URSLEM YATRAVIVARANAM (2) COMMUNING WITH PARUMALA THIRUMENI (3) FROM PRESERVATION TO FULFILLMENT. In the first among these, the author carries out a sort of analysis of a travelogue by St Gregoriose of Parumala about his visit of the Holy Land. Literary circles have acknowledged this as an ideal one that pictures a journey in all its excitement and is arguably the very first of travelogues in Malayalam. Yet, Rev Dr Thampu chooses to see this more as a volume of spirituality, philosophy and theology rather that a travelogue. 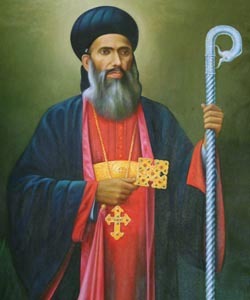 He sees glimpses of Abraham in St Gregoriose considering the many similarities in their life experiences particularly in the incident of Abraham leaving Ur and entering Canaan as commanded by Jehovah and likewise, Gheevarghese leaving Mulanthuruthy and entering Parumala as willed by God. He claimed Parumala in faith. Both have settled in lands not seen or known about before. His journey to Parumala is not a journey but a pilgrimage. 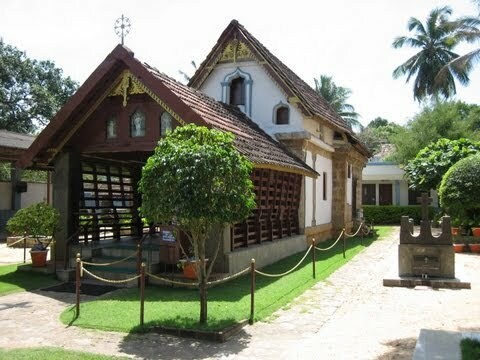 As Gheevarghese Mar Gregoriose adopted Parumala his home, he carried out another pilgrimage to Holy Land not as a journey but as one to ‘see’. The saintly author would have considered his work, branded by many as a travelogue, not to highlight literary value at the cost of spiritual significance. Dr Valsan Thampu sees in Bible an anthology of journeys revealing God who calls people out of their habitats. Parumala Thirumeni had a thirst or zeal to respond to such revelations of God. His pilgrimage to Holy Land illustrates this. He was not ready to travel simply to Jerusalem, but had a deep preparation that knew the in and out of Jerusalem much before he commenced his travel. This preparation enabled him to know the place but that was mere ‘knowledge’. Knowledge, Dr Thampu says, may be adequate for worldly purposes or for literary purposes; in the spiritual orbit, knowledge per se is inherently partial. So one has to break open the door and see it. This is exactly what happened, as we understand while reading URSLEM YATRAVIVARANAM; and this pilgrimage in its essence has born out of zeal or ERIVU. It is worth noting that Parumala Thirumeni wanted to have a copy of this book at all parishes. Dr Thampu understands this as an analogy to Jesus offering living water to that Samaritan woman. The woman had come to Jacob’s well to “see” and collect water, but Jesus offered her water of life in its essence. The Saint offers his flock at various parishes the light he experienced from Jerusalem. He did not end up his pilgrimage at Jerusalem. His fervor with which he addressed Dalit issues indicates the continuation of pilgrimage as Dr Thampu reads it. His work among the low castes is a learning point for all members of the parishes. Another significant aspect of this spiritual pilgrimage is “PUTHEN THEEI” or the new fire. This new fire too has an analogy with the burning bush Moses saw on the mountaintop. Fire symbolizes zeal. In the spiritual context, zeal is bred by purity that is dynamic and not static. It is a mighty presence and not an absence. Such fire is self-realization. Dr Thampu says that this ‘new fire’ akin to the burning bush Moses saw is also an all consuming fire but what this fire consumes are not the natural bushes; instead it consumes the fetters in culture that holds us back from taking the plunge when called into partnerships by God. The relationship between the fire Moses saw and the liberation of Israelites is significant and likewise, the ‘new fire’ is central to the spiritually transformative experiences that Parumala Thirumeni narrates in URSLEM YATRA VIVARANAM. The second part of the book mainly concentrates on sainthood. Dr Thampu briefs what is sainthood, as he understood which is surely, what we too can understand. Saint is one who is animated by the breath of the risen Christ and is so at one with the Lord that he can breathe the same breath upon others as well. Dr Thampu admits that he has no other way that the subject travelogue is connected with the spirit of Parumala Thirumeni. He admits that whatever he has written in this book is guided and shaped by his experience. Anyone who reads this is sure to get a feel of what really means by sainthood. Thirumeni went to Jerusalem to be breathed upon by the Lord. As an ardent devotee of Parumala Thirumeni, I do confess that this enlightenment about sainthood has been truly nourishing my spirituality. Further Dr Thampu says that the asceticism in Parumala Thirumeni symbolizes his discipleship out of his love of God in its wholesomeness. He recalls the observation of L/L HG Dr Gheevarghese Mar Osthathiose about Parumala Thirumeni: His religion was not vertical alone but also horizontal. It is worthy to relate this observation to the ATHRAITHA SIDDHANTAM propagated by Osthathiose Thirumeni. 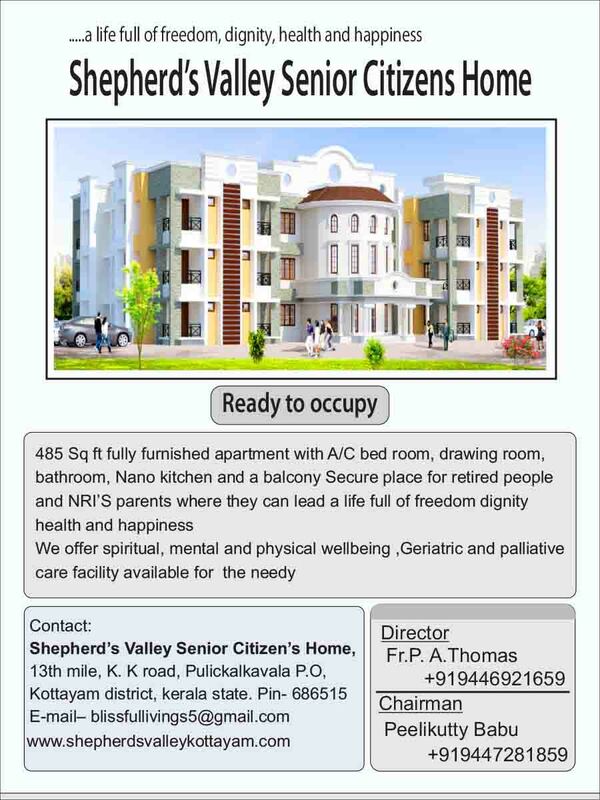 Dr Thampu connects sainthood with St Matthew 5:48 also. After the pilgrimage, Parumala Thirumeni has given a clarion call to redouble the efforts to spread the gospel. This evangelic zeal was free from the taint of European triumphalism. 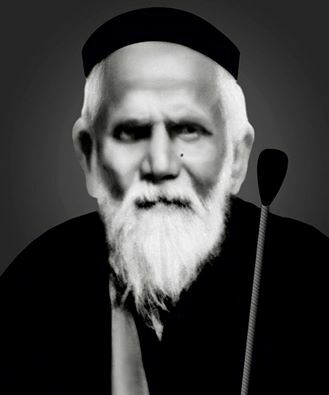 Missionary movement of Europe aimed at overpowering other faiths and Parumala Thirumeni was distinctively different as observed by Dr Thampu. On commemorating Saints or venerating Saints, Dr Thampu clearly spells out that the significance lies in the ‘new fire’. The third part is a sort of summing up of the feelings of Rev Dr Thampu about St Gregoriose of Parumala. He ascertains to the credit of Parumala Thirumeni that he did not fall into the trap into which self-styled prophets of reform fall when they cast off the yoke of Christ. How true an analysis of the Saint! He paraphrases the service of Parumala Thirumeni as one with the dialogue Jesus had with the Samaritan woman. The service of Saint Gregoriose is dynamic and redemptive orthodoxy. He says further: In relation to the need for revitalizing orthodoxy or right faith, we need to emphasize the dimension of ‘new’ in its continued journey through history. As orthodoxy is narrowly understood, remaining the same for centuries, Parumala Thirumeni showed that pilgrimage is not a journey to Jacob’s well but a journey from Jacob’s well to the fountainhead of living waters and to the city out there. Here it must be recalled that Jesus had profound respect for Law and Prophets. To him, they did not constitute mere lifeless orthodoxy; they were livewire realities impacting the world. On the Mount of Transfiguration, Moses and Elijah gave company to Jesus. This indicates that preservation is rooted in the past. Mission of Jesus had a spiritual purpose; he went about the task of fulfilling the Law and Prophets. The mission of Parumala Thirumeni fell in line with this. It aimed at dismantling division as St Paul exhorted. 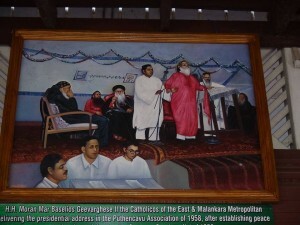 Parumala Thirumeni firmly believed in unconditional invitation to all. 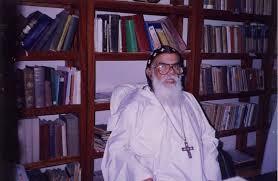 Thus, Dr Thampu is convinced that the mission of Parumala Thirumeni was no way different from what Jesus revealed. Dr Thampu rightly recalls the vision of Chathuruthy Gheevarghese Malpan who was the mentor of Parumala Thirumeni in his formative years. Thus, the relationship between the two was more than that of uncle – nephew like, but more spiritual in content. ent style of narration that grips one’s attention unbroken throughout. More than all these, a clergy of Protestant lineage shares his experiences of sainthood and the true essence of Orthodoxy in such a way that anyone who desires to know Parumala Thirumeni, anyone who desires to understand sainthood in its true depth and even inputs on true faith. At the end, as one who read this book fully I recommend that this one book, very small in size, shall be taken up by anyone who desires to understand spirituality in its essence enough to generate the ‘new fire’ in life.